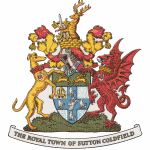 To raise awareness of Sutton Coldfield's heritage, especially of our three conservation areas. To encourage good design in new buildings. To inform residents of strategic planning issues which will affect the town and to encourage participation in the planning process. To resist unsuitable development in Sutton's Green Belt and in Sutton Park. To provide an informative programme of talks and activities for our members and guests. We hold General Meetings at 7.30p.m. on the second Thursday of the month from September to April inclusive, at The Trinity Centre, Church Hill, Mill Street, Sutton Coldfield B72 1TF. These include visiting speakers, mainly on topics of local and environmental interest (both the built and natural environments). Meetings are friendly and accessible. Non-members are welcome on payment of a small donation. During the summer months we have a programme of outings and activities. We have successfully campaigned for a Management Plan for the High Street Conservation Area. We have responded to consultations such as the Sutton Town Centre regeneration proposals and the Birmingham Development Plan for Birmingham. We have strongly opposed the proposal for 6,000 houses in our Green Belt. We have presented awards for achievement in New Builds and in the conservation of old properties, with the generous support of the Sutton Coldfield Observer. Together with the Friends of Sutton Park (FOSPA) we helped to produce the Park's Archaeological Interpretation Scheme and its upgrade. We have produced a very popular Town Centre Trail leaflet which has already gone through three editions. We have included our responses to The National Planning Policy Framework (NPPF) and to the Birmingham Plan as they show our position on these very important issues.